Denham has invited the young founders behind hip fellow-Amsterdam brand Daily Paper to collaborate on a few men’s pieces for spring/summer ’17. 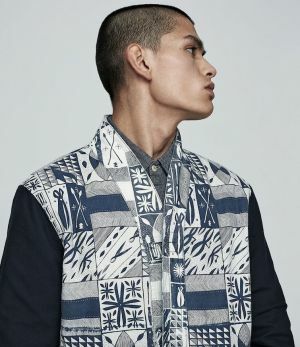 The resulting special edition jacket, chambray short, drop tail shirt and graphic tee combine Daily Paper’s iconic African shield graphic with Denham’s scissor insignia and classic indigo color palette. Watch the video to find out more about how the Dutch collaboration came about.